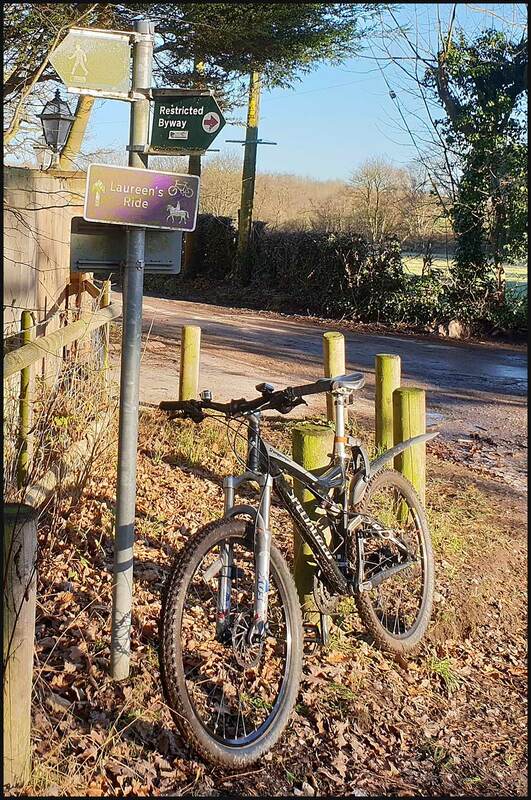 Laureen’s Ride is, as the sign indicates, a route for both cyclists and horse riders. It was devised by a Cheshire horse rider, Laureen Roberts, during a period when she was laid up with a broken leg, and was launched in 2012. 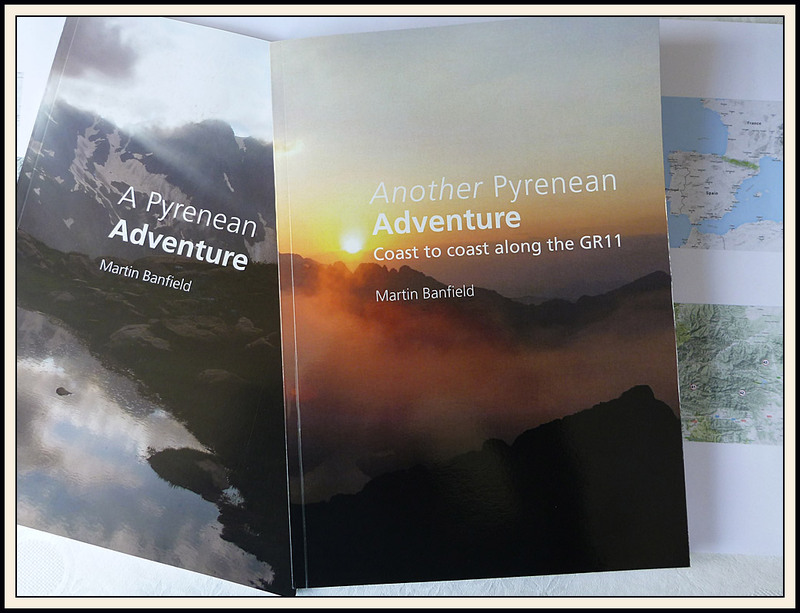 I’d provide a link to a website describing the route, which is split into a northern loop and a southern loop, but I can’t find anywhere that describes it without bombarding the reader with advertisements. I think both loops are about 16 miles. We started from Timperley (me) and Hale (Paul and Richard) so I had an extra 14 km each way to and from the start of the northern loop, along less than pleasant country roads. Never mind, once at SJ 790 806 (Hobcroft Lane) this proved to be a pleasant ride and not too muddy, unlike reports of the southern loop. It was a lovely sunny morning, if a bit too icy for Jeanette to join us. The route skirts Wilmslow on its way to Styal, passing Lindow Moss, where peat is still being extracted despite the adverse environmental effects of that activity. A pause on the way to Styal was needed for the lengthy job of extracting a triffid that had taken over Richard’s drive train. I decided not to get my newly rebuilt bike dirty today. The Stumpjumper enjoyed this outing but it will soon be relegated to ‘number two bike’. 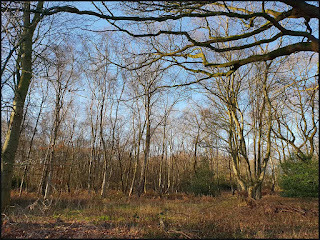 Where the peat isn’t being dug up, there’s lovely birch and beech woodland in this area. Earlams Community café provided excellent coffee and cake and during a long break (nearly an hour!) we were able to warm our fingers and toes. 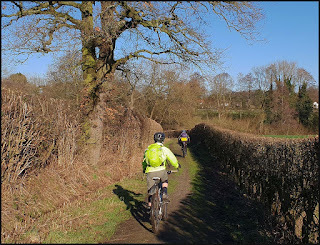 Sorry, no photos here, but the sun was still out as we set off again and passed by Quarry Bank Mill and rose above the Bollin Valley towards Bank House Farm. The farm used to be surrounded by an atrocious mud bath, but has now been abandoned, so there are no animals to churn the footpath, which was quite firm today. 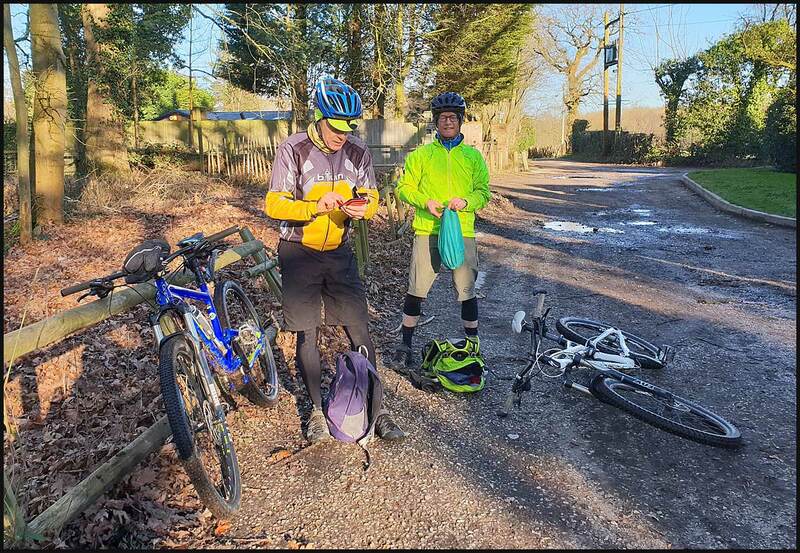 There followed a very pleasant ride – we stayed warm after the café break – along paths like the one shown below, with the sun on our backs. 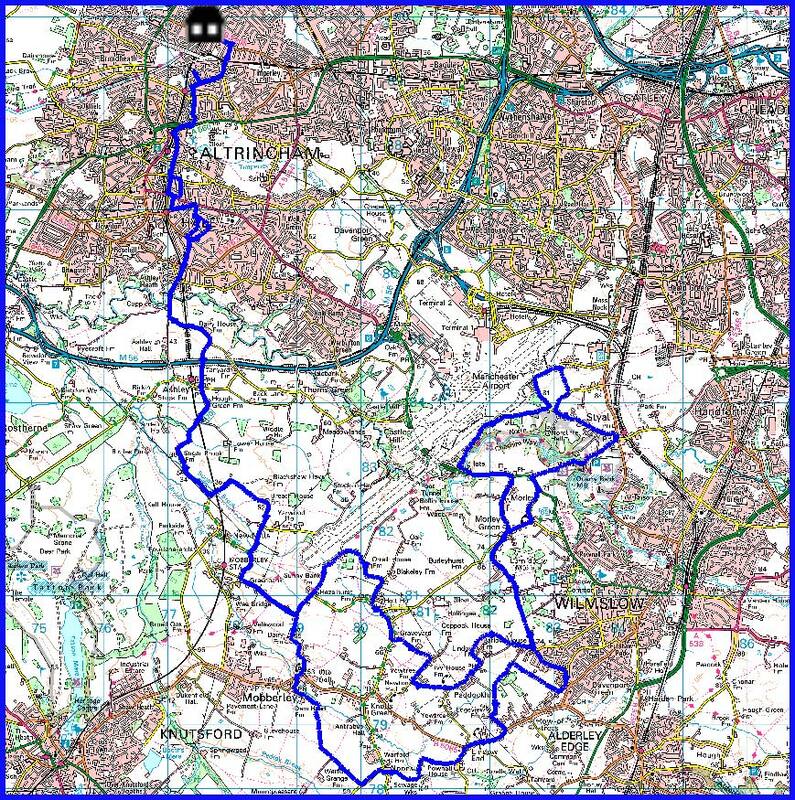 Thanks go to Paul for organising this route, which is shown below. You can see the point at which we started Laureen’s Ride. 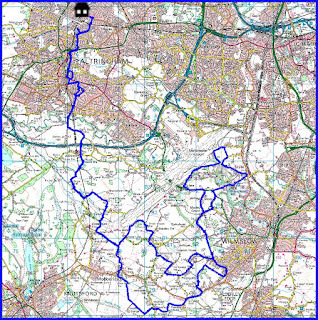 It was about 58 km with 200 metres ascent, ie basically flat, to and fro from Timperley. Riding time was less than 4 hours return from Timperley. Looks good. What is that pink sign - haven't seen one like that before. 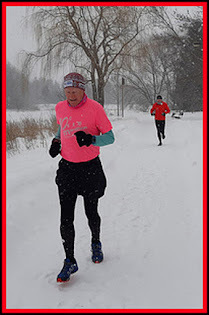 I think the pink sign is just for Laureen's Ride. Perhaps funded by the riding fraternity and blessed by the Local Authority. Incredibly, if you want them for your enterprise each sign can cost anything up to £40,000 ! I doubt whether Laureen will have been able to pay that kind of fee, but I wonder how and by who the sign has been sanctioned? Brown signs are different - they advertise paid-for attractions. 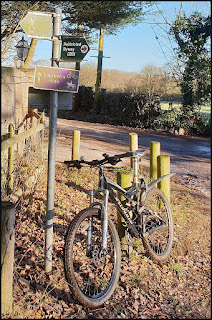 The pink signs are more akin to Sustrans signs and will have the blessing of the Local Authority, who may even have paid for them. There are similar signs around Lancaster relating to a walk devised by one of the East Lance LDWA members.